Regarding the Hornet, it’s important to note that we are now focusing on some of the more difficult and time-intensive tasks like making several fundamental changes to the air-to-air radar simulation (will have benefits with other modules), the Joint Helmet Mounted Cueing System (JHMCS), and other systems we’ve touched on recently. As such, the number of new items for the Hornet will be less than before, but the same amount of attention and manpower is being devoted. Running now and lasting until September 30th, 2018, we are offering all four DCS World helicopters for just $69.99! Normally a $199.96 value; this is a 65% saving on each helicopter. DCS World offers some of the most realistic helicopter simulations available on the PC, and nothing compares to the helicopter combat environment that DCS World offers. Coming with the DCS World Helicopters Pack is a special ”four-in-one” mission – Helicopter Operations, which allows you to play all the helicopters on one battlefield. Depending on your helicopter choice, you will be tasked with what your helicopter can do best! SA342 – destroy the advancing tanks (CAS). UH-1H – bring on the sling load the ammunition for Bradley platoon, attack the command post. Ka-50 – destroy Bradley platoon (CAS). Mi-8 – attack the checkpoint, take out the cargo on the sling load. Jump into the cockpit and help the guys on the ground! 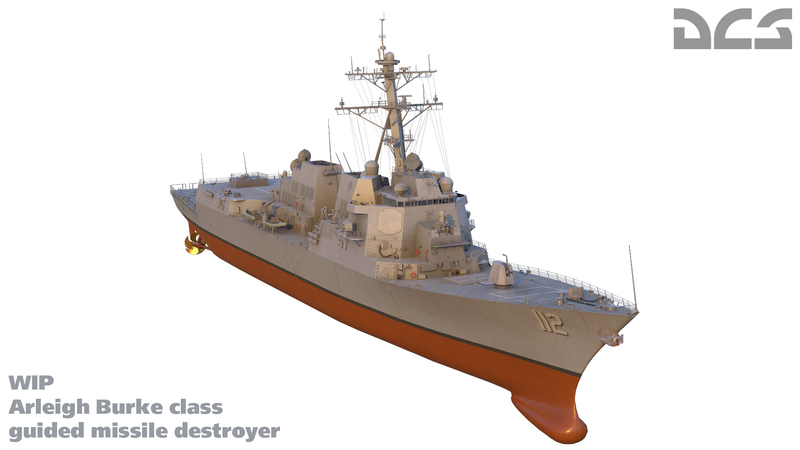 Coming to DCS World as an AI-only ship unit, the Arleigh Burke is an American guided missile destroyer that forms the backbone of the US Navy surface fleet. Built around the SPY-1D multi-function Aegis Combat System radar system, the Arleigh Burke is armed to the teeth with surface-to-air, surface-to-surface, and anti-ship weapons and defense systems. Tagged Eagle Dynamics, Uutiskirje, Weekend News.